The effects of budget cuts will be softened a bit for many state agencies: For the second year in a row, they will be able to tap their own revolving funds for spending on operations. The budget agreement negotiated by Republican legislative leaders and Gov. Mary Fallin’s office calls for spending about $7.2 billion next fiscal year, with most agencies facing cuts to help address a $611.3 million shortfall. About $121 million would be taken from agency revolving funds to help cover the gap, but several hundred million more dollars remain in such funds. Normally, agency revolving funds are restricted for a specific purpose, state Finance Secretary Preston Doerflinger said. However, at many agencies those funds have accumulated and are substantial. Previously, lawmakers have swept revolving funds into the state’s general revenue fund. But this year, and in 2014, Doerflinger said budget negotiators included language that allowed some agencies to use revolving funds for general expenses. For example, for fiscal year 2016 the Legislature authorized the Oklahoma Supreme Court to use its court information service revolving fund for operational expenses. Lawmakers also reduced the court’s budget by $345,822, a 2 percent cut. That court’s information service fund is used to pay for the the judiciary’s computer network. Money for the fund comes from a $25 fee assessed on criminal and civil cases. House Budget Chairman, Rep. Earl Sears, R-Bartlesville, said allowing the Supreme Court to tap its own revolving funds prevented the court from taking a deeper cut. “I’m not sure what level that cut would have been, but it would have been deeper than what they have now,” Sears said. 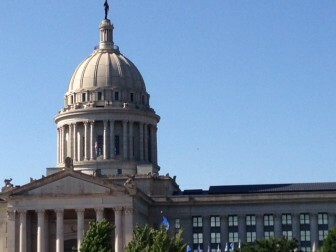 Lawmakers used the same tool for the budgets of the Department of Veterans Affairs, the Office of Management and Enterprise Services and the Oklahoma Health Care Authority. The Oklahoma Court of Criminal Appeals upheld the bribery and corruption conviction of two former lawmakers.